Along with extra minifigures in selected colours, will be interesting to see how close I end up getting. That's a very nice digital image, but unfortunately that's all it'll ever be. 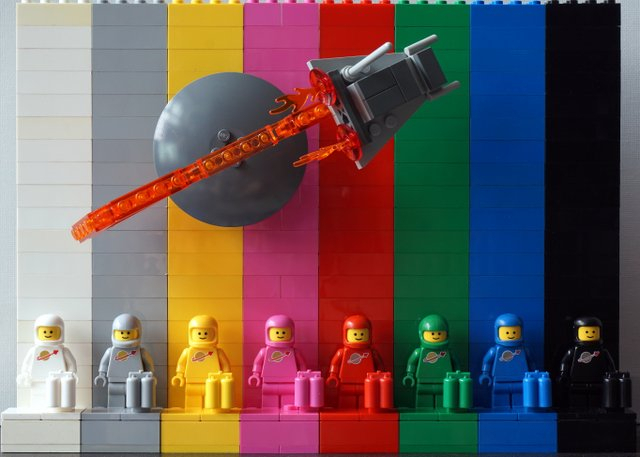 You have 90 different colours of minifigs there (with none of them 'transparent'). 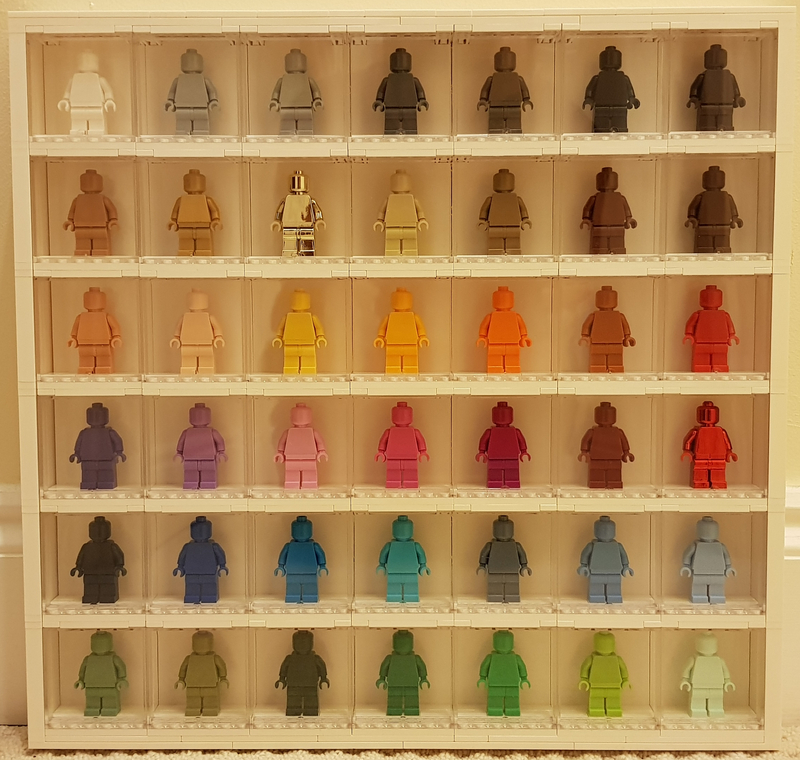 By my reckoning at least 28 of them have never had any minifig parts at all, with a total of 76 colours (not necessarily those in your picture) having at least one part (including 14 transparent). 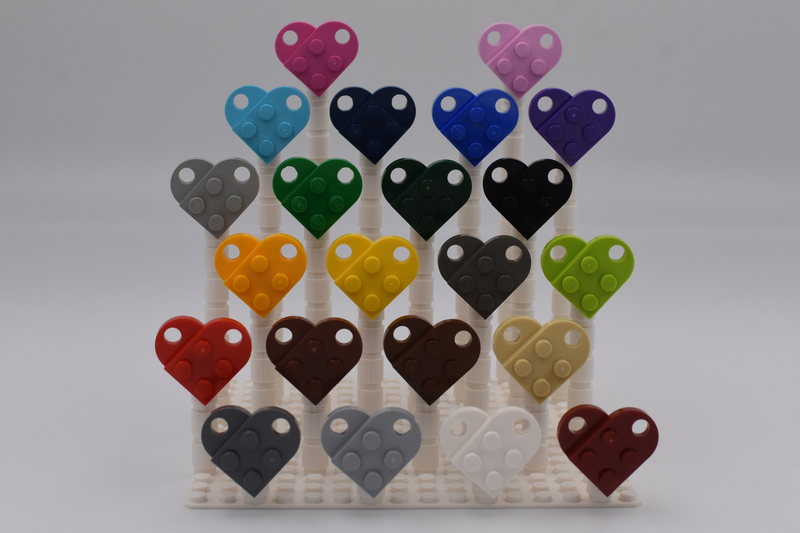 The head is available in 60 colours. The torso is available in 60 colours (not all the same). The left arm is available in 63 colours. The right arm is available in 62 colours (Trans-Light Blue being the missing one). The hands are available in 49 colours. The hips are available in 59 colours. The left leg is available in 58 colours. The right leg is available in 59 colours (Trans-Neon Green being the extra one). Combine them all and you have a total (I believe) of 41 colours which can be completed. Of those, only 4 are retired colours (or 3 if you class Chrome Gold as still current), with the rest of them being current colours. That means that of the 35 colours which have at least one part but are not currently able to be completed, 13 are retired colours, with the remaining 22 being current (breaking down to 5 'normal' colours, 2 'pearl' colours, 1 'glow in the dark' colour and 14 'transparent' colours). ^ I know that unless I get lucky & find individuals with not officially released parts, I'm not going to manage a good selection of the ones there. My hope is to at least get all the 2x2 tiles (which I've been told is possible as TLG uses them internally as colour charts), so I can show what monochromes are & aren't possible. Not looking to do translucent monochromes unless TLG suddenly decides to release the needed parts for them, so again 2x2 tiles will be the extent of that. As we both know, unless TLG manages to come up with a new formula for translucent parts, it's unlikely they ever will fill that void. To be clear, the 41 which are currently able to be completed do include a few parts (e.g. 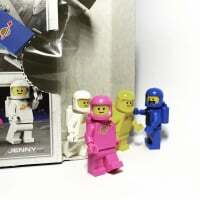 Light Flesh hips) which have not been officially released in sets, but which are still Lego. 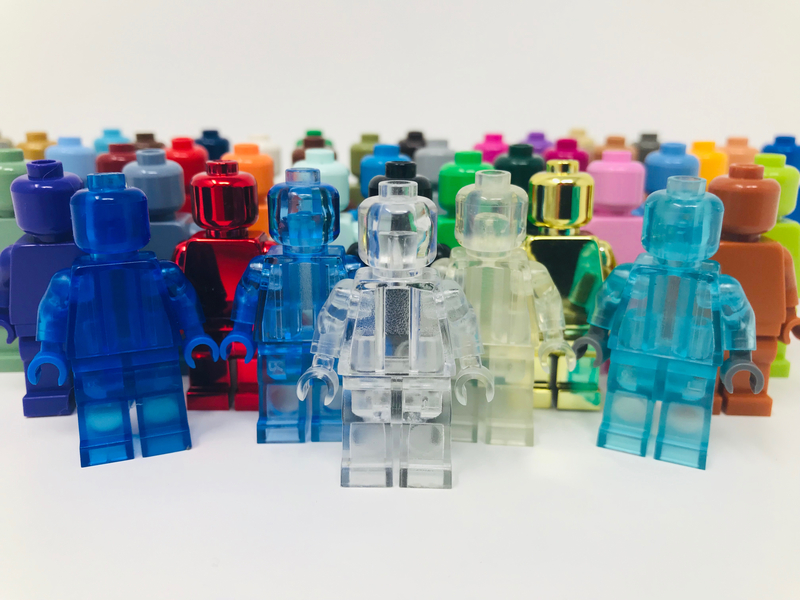 I think the holy grail of monochrome minifigs is a Trans-Clear one, but as you say, that will almost certainly never happen with official Lego parts. ^ Maybe it's just the angle, but is the curve of the tail less curvy than the other four? I've recently been semi-collecting plant parts and other rock / jewel parts, but I don't think I'm ever going to get close to completing any of those "sets". I'll post a pic or two at some point though, partly to see for myself how well / badly I'm doing. I'm making a concession with flat silver & pearl dark grey, as hands for these don't exist at this time, I'll be using LBG hands for flat silver & DBG hands for PDG, as it seems to be standard when TLG wants the hands to "match" the arms (which reminds me, have to get Erin to finish wiping the torsos we haven't done yet). 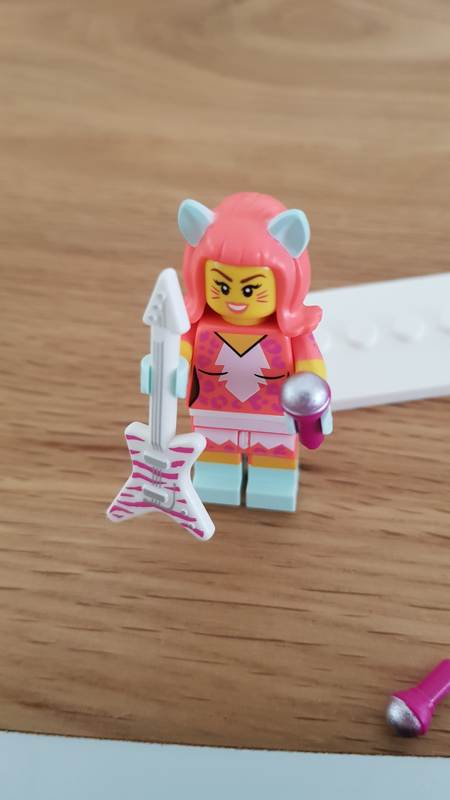 I have seen a completely trans clear fig in the hands of a LEGO employee, so I believe they have been cast, but I don’t think the parts have ever made it into the wild like some other non standard parts. 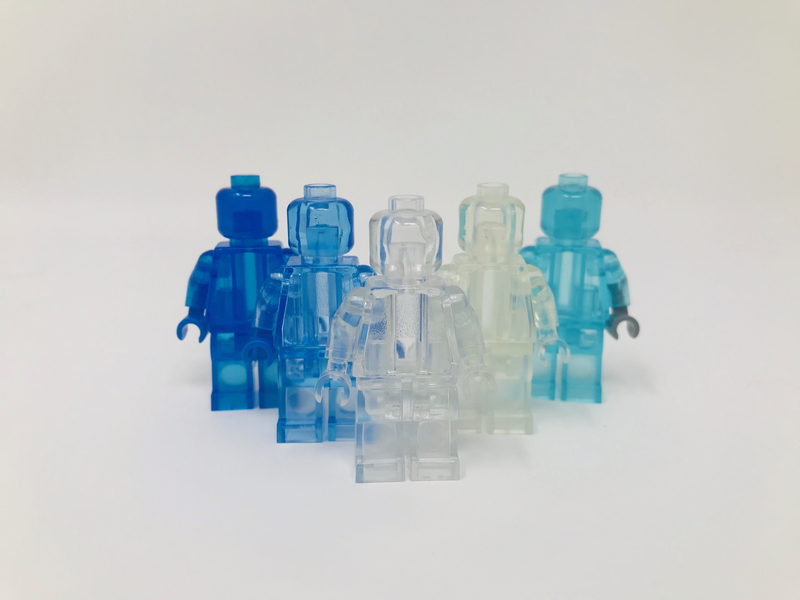 ^ I remember seeing someone posting about a translucent clear minifig they were trying to acquire, I may be mistaken, but if remember it correctly, it was @samiam391. 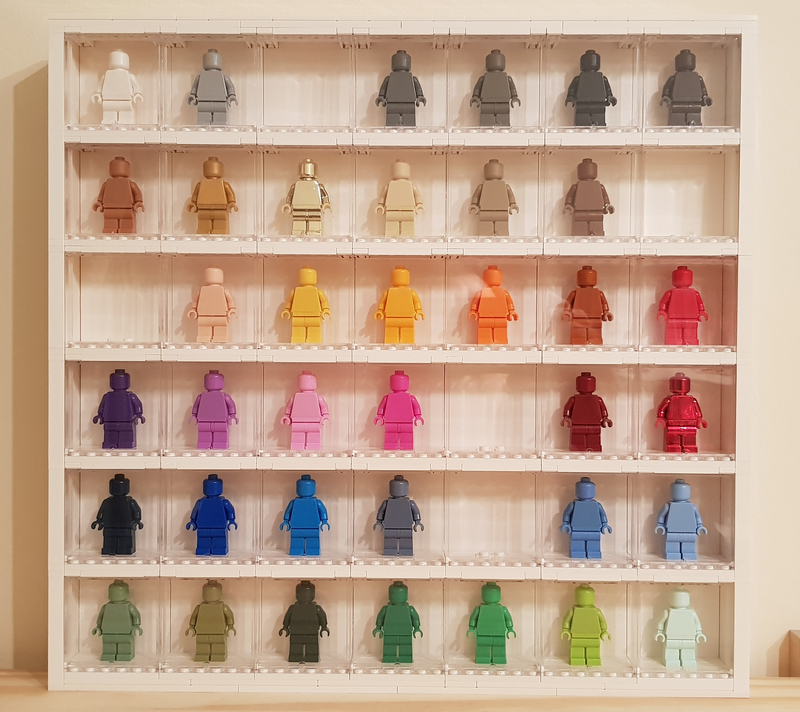 @Paperballpark yes I have a solution that satisfies me for now as I use white minifig body parts to complete the ‘incomplete’ colours and it still looks good on display!! 😂 I do exactly the same! I have two translucent figures (which are slightly different shades from one another). 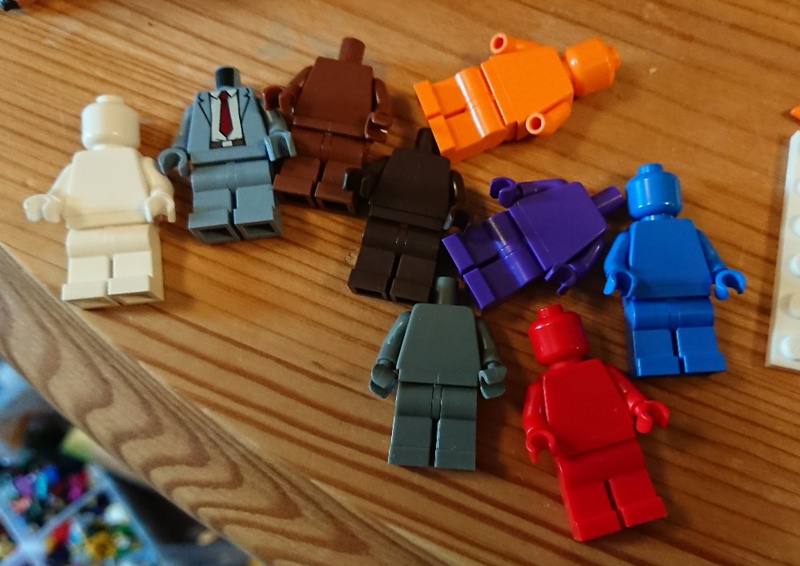 I also managed to acquire trans-light blue, trans-blue, and trans-dark blue minifigures. I'm aware of a trans-yellow and trans-green figure, but I haven't managed to track them down yet. They're all prototypes, made of polycarbonate with incredibly stiff joints. It's very difficult to separate hips from torso, head from torso, etc.. They're also extremely prone to cracking, which is why I rarely handle them. I can see why LEGO didn't mass produce them, although they are quite beautiful. Don't care about the rest, I'd just want the tr-blue, tr-med blue & tr-green ones, my three favourite translucent colours. If anyone comes across a copper monochrome....DIBS! This isn't quite so straightforward: The classic space style helmet hasn't been recast in Medium Stone Gray yet, and the Old Light Gray helmet will clash severely with the LBG torso. 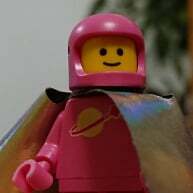 However, the modern helmet has only been made in LBG in a single minifigure (Series 9 Heroic Knight), so it's not common in the wild. Unfortunately, the air tanks accessory hasn't ever been made in LBG (I couldn't believe it) so Old Light Gray is your only option. If you have your CS Spacemen displayed facing forward you'll only see the neck band part of the tank. I'll post pics once my BL order with the old light gray airtanks arrives in the next day or two. I'm making a display case with my CS and Futuron astronauts which will be done once my Benny's Space Squad arrives. Hopefully we will see the CS style helmet cast in other colors - they have the mould and the logo stamp again, so hopefully they will. My green CS astronaut from Exo-Suit doesn't look quite right next to his compatriots with the modern helmet. I do love that we have a green Futuron astronaut from #60097 City Square to accompany him. I was trying to decide which is a greater love letter to the fans: Benny's Space Squad, or the end scene from Rogue One where it's Vader being Vader; totally unexpected scene that didn't need to be included, but the ending is so much more awesome for it. 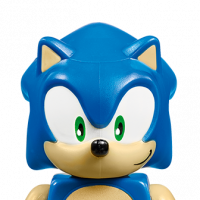 I'm not generally someone who gets jealous, but those transparent minifigs... Shame the blue ones don't have transparent hands though. WHAT THE FRAK?!? Really? 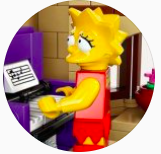 Clearly not an AFOL... Can't imagine doing something like that, why would someone want to defile Lego like that. Meanwhile, just ordered all the parts for four light flesh monochromes on BrickLink, thanks again @Paperballpark for the heads up with that. I've just bought a new CMF specifically for the new Vibrant Coral torso and hips! I will need to scrub the printing off them though. Curious to know what method you're using. We're currently using orange essential oil, it's been the best method so far for us. I've just wiped my first piece - one side of a Parademon head to finish off this flame yellow dude. Nail Polish remover. Not 100% perfect but will do for my purposes for now. Indeed, below is what I have. The helmet is different for some. @xiahna (aka my beautiful wife, Erin) suggested we could try orange essential oil, after I attempted nail polish remover with disastrous results. It takes a fair bit of effort, but we haven't had any discolouration, even on pearlescent coloured parts. I was considering brasso at one point, but brasso here seems to have a different formulation over here & some of the results I've seen seem to be slightly yellowed. ^ Thanks! Any other suggestions for removing printing would be gratefully received! I have had good results rubbing off printing with a pencil eraser. But then it wouldn't be the same as the rest! @Recce Great collection! 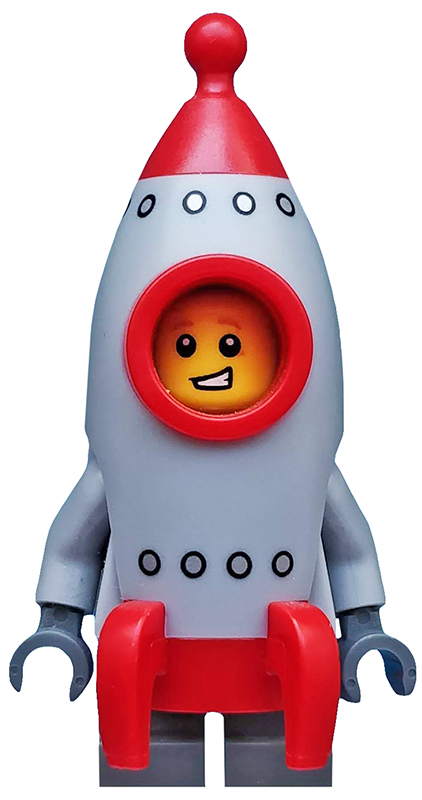 I've ordered a second CMF Rocket Boy & a Heroic Knight to make the LBG version. It's difficult to tell from your picture, but from what I've read above the air tanks are in old Light Grey. Is that correct? Also, what's the simplest way of getting the legs in LBG? The legs are in a hundred or so different figures, so find a spare figure, buy one of those or bricklink the legs separately. If you’ve got the heroic knight on order, could always wipe the legs and hey presto! Yes, air tanks are old light grey. 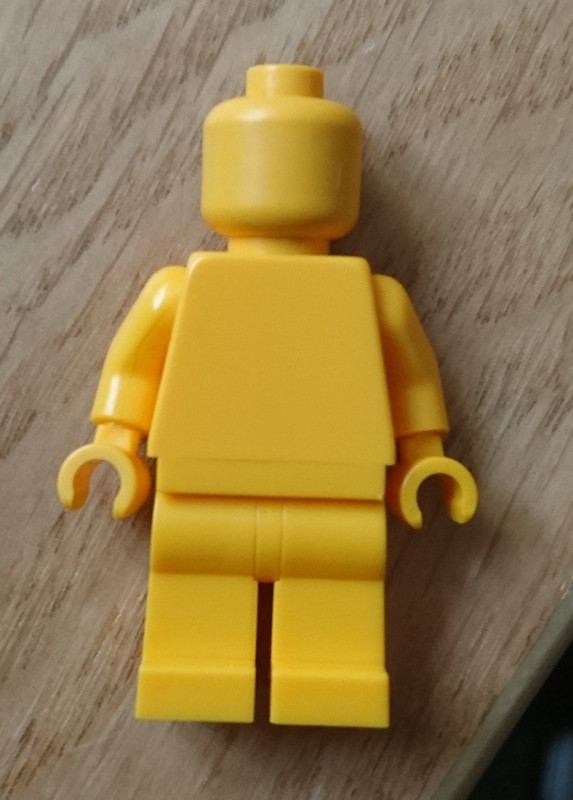 LBG legs are plenty in other minifigures, no wiping needed. (apologies for the duplicate posting - I accidentally posted this in the 'what are you building' thread instead of in here). I posted a photo on this thread (and in a few other places) the other week of my collection of monochrome minifigs (photo copied below). A few people asked how I kept track of what was available etc., and when I said I had a spreadsheet, they asked for a copy of it for them to use. So I’ve spent a little bit of time modifying my spreadsheet so that it’s suitable for anyone to use as a reference to what (I believe) is available. As an aside, there are two colours on there (both transparent) which don’t currently have any parts available at all. However, given they are current colours, I thought I’d include them anyway. 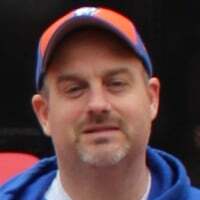 I haven’t differentiated between parts which are available with and without printing, as that’s quite difficult – there will always be parts which aren’t officially available without printing, but which show up anyway. If anyone spots a mistake, or believes there’s a part available that I haven’t noted, please let me know. The link to download it is here. Please note I will not be responsible for anyone getting sucked into collecting these as a result of viewing my spreadsheet! The common colours are easiest - white, black, reddish brown, red, light bluish grey, dark bluish grey, and now pearl gold with it being fully in a city set. @Astrobricks - He has them stashed in another display case that he only shows to true connoisseurs! And what are we? Chopped liver!? Chrome Red hands have never been made. Chrome Gold hands have, but are exceedingly rare. Given that there's 42 spaces in my case and only 41 completeable (inc Chrome Gold), I can live with two chrome ones with non-chrome hands for now. this might as well be renamed "the monochrome figure collecting thread"
^ or gems & rocks/crystals. ^May? 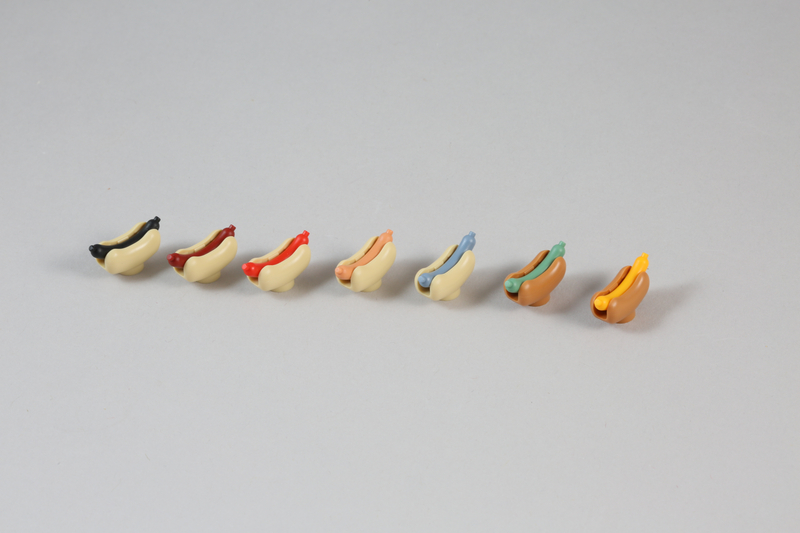 I did order the yellow and green one just so I could have them in for a hot stand/butcher shop moc I how to make. I collect colours & I trying to get every element in that colour. 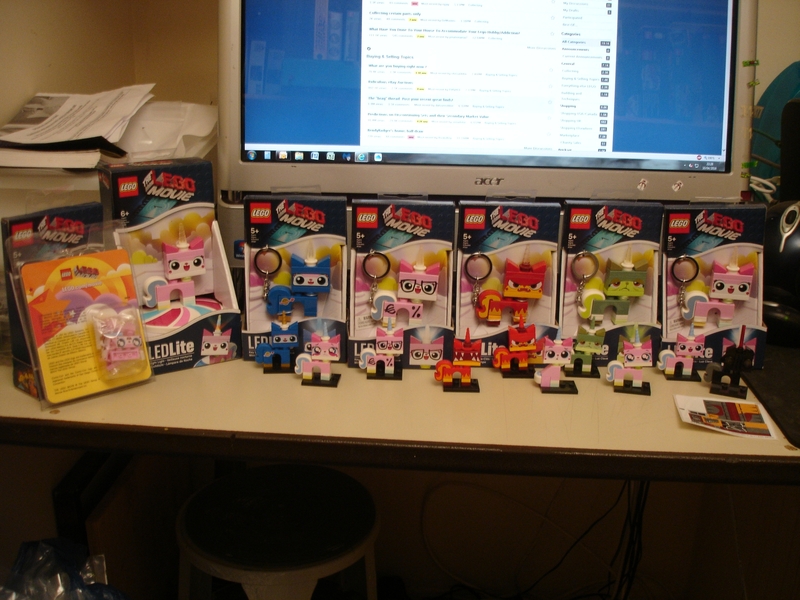 What is that unikitty in the orange packing?